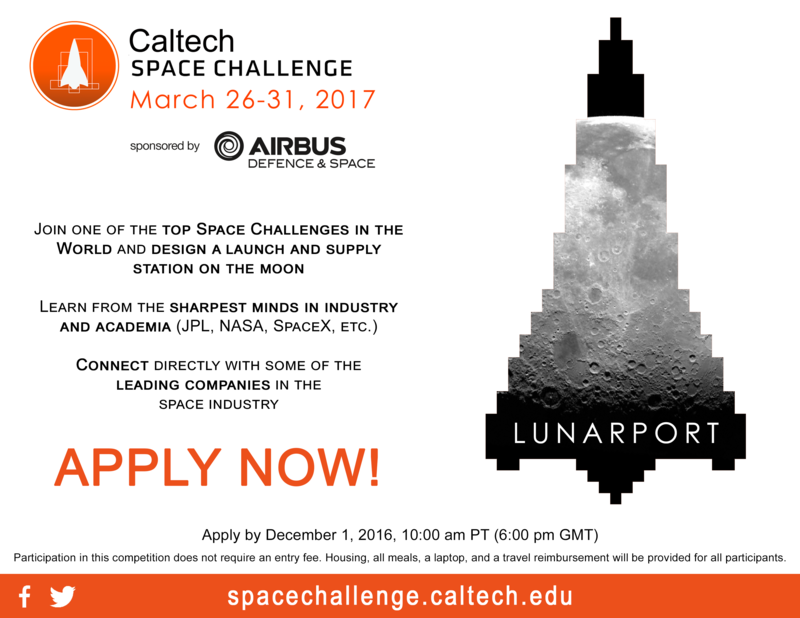 The Caltech Space Challenge is a 5-day event held March 26-31, 2017 in which undergraduate and graduate students from around the world compete in designing a space-related mission. The theme for the next Challenge is Lunarport. Students will design a launch and supply station on the Moon to refuel deep-space mission payloads. The next challenge is being sponsored by Airbus Defence & Space and will allow students to learn from their world-leading engineers. For more information: spacechallenge.caltech.edu/applications or contact spacechallenge@caltech.edu.